Lindsey Williams knows firsthand that it takes courage to stand up for what’s right and to fight for working families because that is the life she’s lived. Determined to protect her rights and those of her co-workers, Lindsey refused to accept a severance package that required her to sign a gag clause preventing her from speaking about the circumstances of her termination. Instead, Lindsey pursued a wrongful termination charge with the National Labor Relations Board. After two years of litigation, she successfully settled her case and shared her story with the New York Times: http://nyti.ms/whistleblowerunion. Raised in a union household, Lindsey’s parents stressed hard work and education through both words and actions. She knows how strong unions and protections for workers’ rights can help families achieve the American Dream because she watched them in action. Lindsey’s father has worked for 40 years as an Operating Engineer (Local 542). Her mom worked for a temporary service company for 17 years so she could be home after school with Lindsey and her sister, Caitlyn. When they got older, her mom took a job as an accounts receivable clerk at Keystone Automotive. In 2012, her job was eliminated and relocated to India. Fortunately, Lindsey’s mom was able to take advantage of education incentives with her unemployment benefits and she finished her college degree in May 2014 — more than 15 years after starting her education. Lindsey attended Duquesne University School of Law after graduating from Dickinson College. During law school, she worked at a workers’ compensation firm, fighting for the rights of injured workers. She also clerked with the United Steelworkers. After graduation, Lindsey was able to turn her passion into her career. Her illegal termination from the NWC only strengthened her conviction and she has dedicated herself to protecting workers and the livelihood of working families. At the International Brotherhood of Teamsters, Lindsey assisted with strikes and organizing fights with large national and multinational corporations. In 2014, she joined the Pittsburgh Federation of Teachers to continue the fight for a quality education for every child. 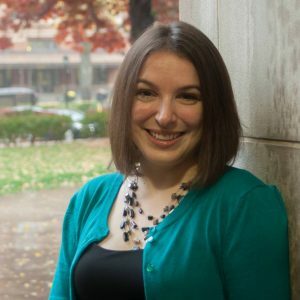 Since her return to Pittsburgh, Lindsey has been involved in our community fighting for a variety of social and economic justice issues as a member of One Pennsylvania and as an Executive Board member of Fight Back Pittsburgh. Lindsey has worked hard to help elect candidates who support working families and public education as an active member of the Young Democrats of Allegheny County and as a member of the Pennsylvania Democratic State Committee representing Senate District 38. She was named the 2016 Allegheny County Young Democrat of the Year and to the Incline’s 2017 Who’s Next: Politics class in recognition of her hard work. Lindsey proudly graduated in the inaugural class of Emerge Pennsylvania — a six month intensive cohort-based program that trains Democratic women to run for office and win. She is excited to put her passion, determination, and knowledge to work for the people of Senate District 38.